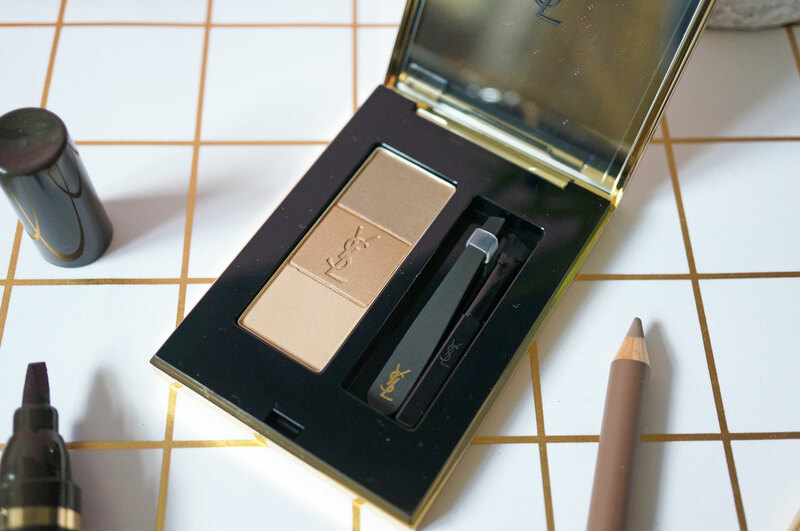 Starting with the Couture Brow Palette (£35.00) – this is a super handy little palette, including three powder shades, and a mini brush and tweezers. This palette comes in two colour options and I have 01 Light which is perfect for those with fair hair. The mini brush has stiff, angled bristles which are great for applying just the right amount of product to the brows with precision, whilst keeping the hairs in check – and this palette is also just the right size for throwing in your makeup bag when you’re on the go. You might think three separate shades are a bit excessive, but I love that you can mix and match them to create exactly the brow look you desire. 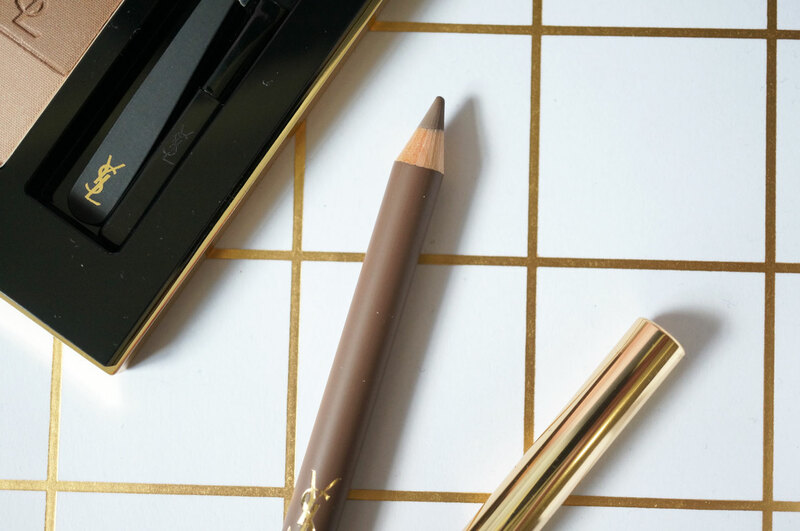 Next I have the Dessin Des Sourcils Pencil (£21.00) – this is a deluxe dual ended precision pencil that fills in and defines brows with ease, for a natural no-fuss look. 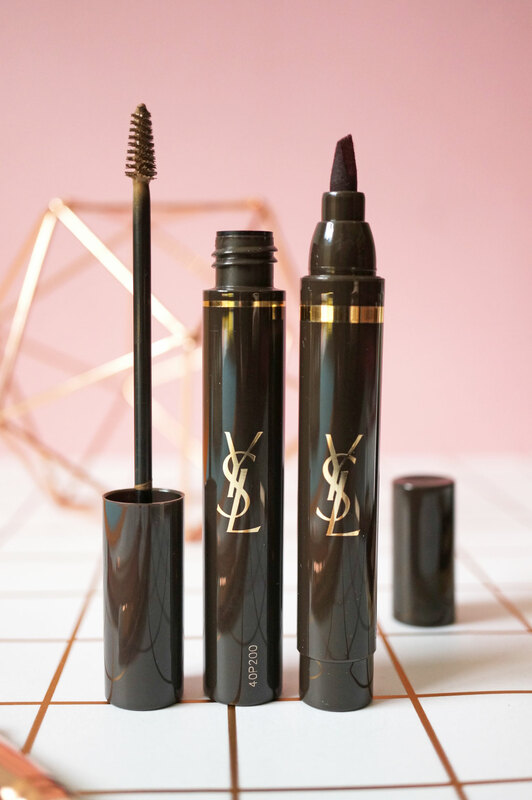 The formula is smooth but firm, and glides on effortlessly to give you gorgeously groomed brows. I have shade 3 Marron Glace, which is a light taupe brown, perfect for both blondes and redheads. Next the Couture Brow (£22.00) which is basically a mascara for your brows – very much like Benefit’s Gimme Brow, this product has a subtle gloss finish, which gives a natural volume to the brow hairs. 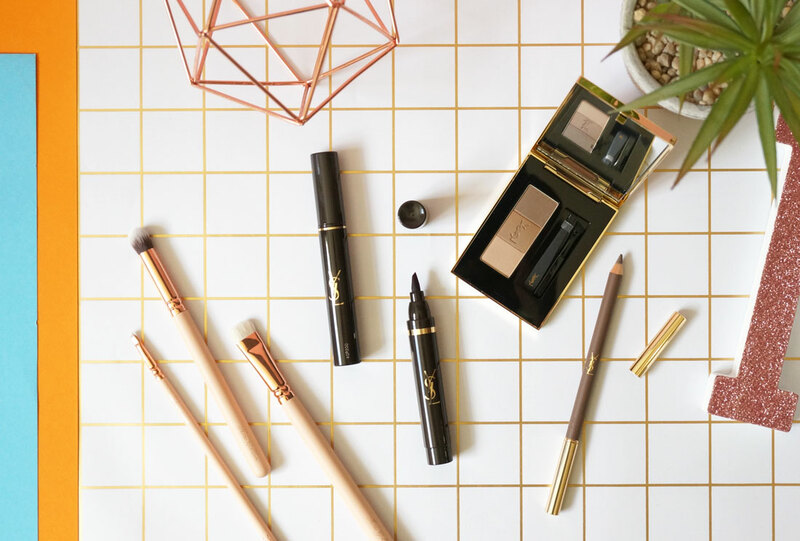 Couture Brow has a buildable formula made of gelifying fixators and semi opaque pigments which adapt to your brow hair colour, offering optimal comfort and ultra-long hold. Couture Brow promises to last for 24 hours, allowing you to fix, structure and intensify your brows to be just as natural or as dramatic as you wish. For me, this product gives a nice, natural defined look, that’s quick to apply giving an instant full brow effect. I have shade 02 Ash Blonde, which I think would work well for those with light blonde hair. And lastly the Couture Brow Marker (£21.00) – as you can probably guess, this is a felt tip marker pen, which gives precise control over application. This is perfect for those looking for a more intense, perfected brow, with a defined shape. The Couture Brow Marker leaves brows looking full and thick, and fills in any gaps within seconds. I have shade 01 Light Brown, which is quite a warm toned mid brown colour. 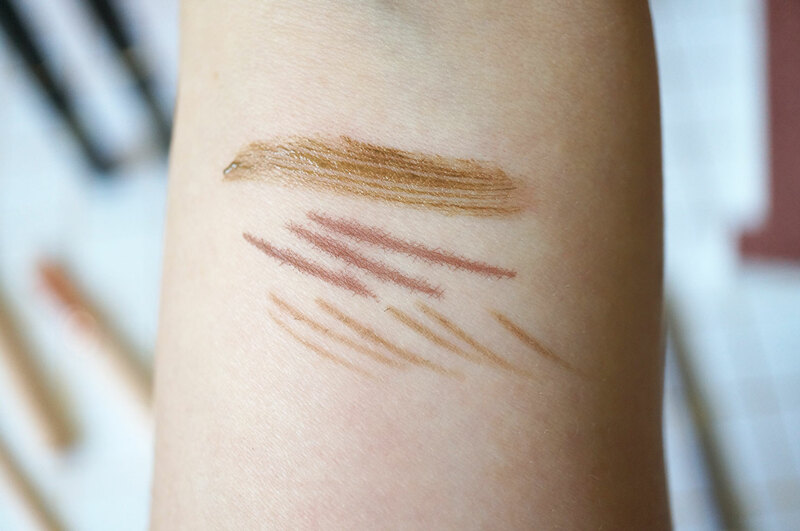 And here are some swatches, from the top you have the Couture Brow, then the Couture Brow Marker in the middle, and the Dessins Des Sourcils pencil at the bottom. 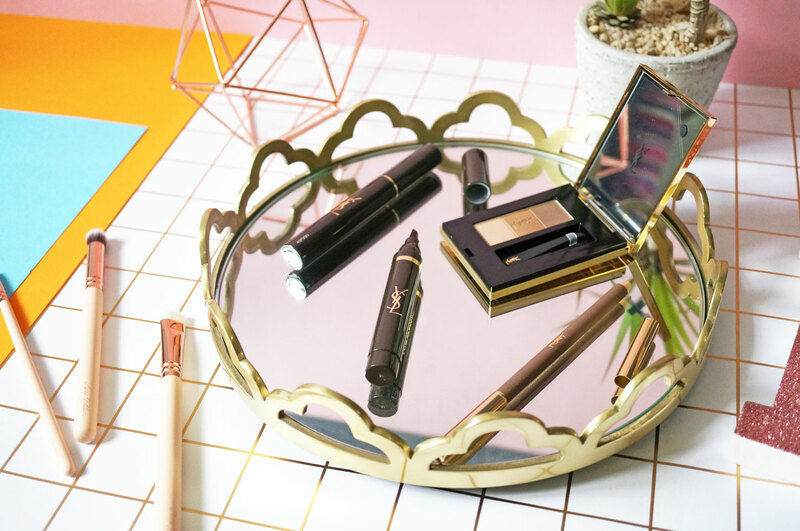 Previous Post Beauty: Nip & Fab Launches New Makeup Line!